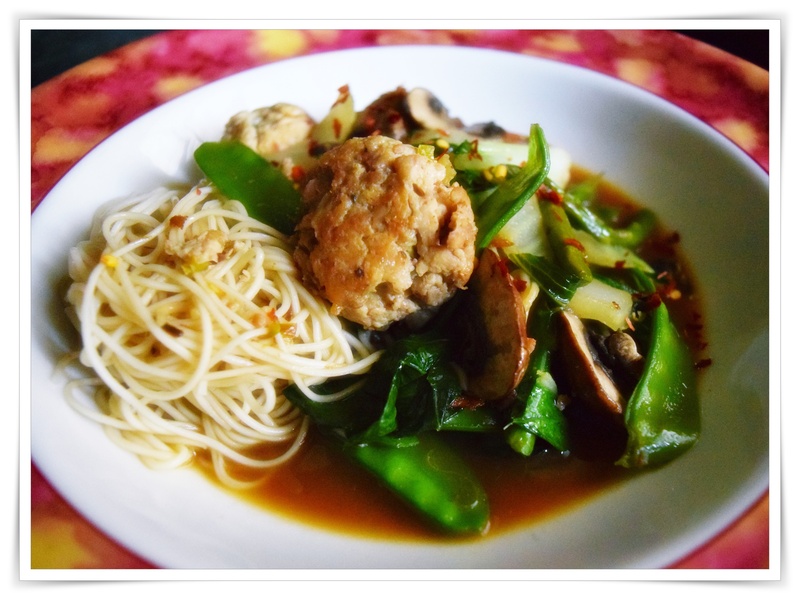 I love Asian food and this week a good opportunity to enjoy the Asian Flavors in a simple bowl of chicken meatballs and fresh veggies thanks to Diana Henry. I have fond memories of living in Japan and especially great memories of the food and the aromas floating through a tiny village of homes that we lived in off base as well as the odd comparison of teriyaki cooking at the school football games rather than burgers and hotdogs, certainly unusual, but times have changed and at any given tailgating event here in the USA you can now have the same experience that I did as so many game day cooks include all sorts of Asian grilling. I know that I head for the grill in the fall and always include Asian dishes and touches to many dishes. Gently mix together the chicken, garlic, soy sauce, ginger and half the spring onions. Season. Wet your hands and shape the mixture into little balls each about the size of a walnut in its shell. If you have time to chill these, so much the better as they’ll be easier to work with. Put them on a baking sheet, cover with cling film and put in the fridge for 30 minutes. Heat the oil in a medium-large saucepan and cook the meatballs in two batches, turning them over to make sure they get colour all over. It will take about 10 minutes. Transfer to a plate using a slotted spoon. If there is any fat in the pan, pour it out, but don’t wash the pan. Add the stock to the pan and bring to the boil, scraping the pan with a wooden spoon. Reduce the heat, return the meatballs, then bring to a simmer and cook for three minutes. Add the boy choy and the rest of the chilli and cook for another three minutes. 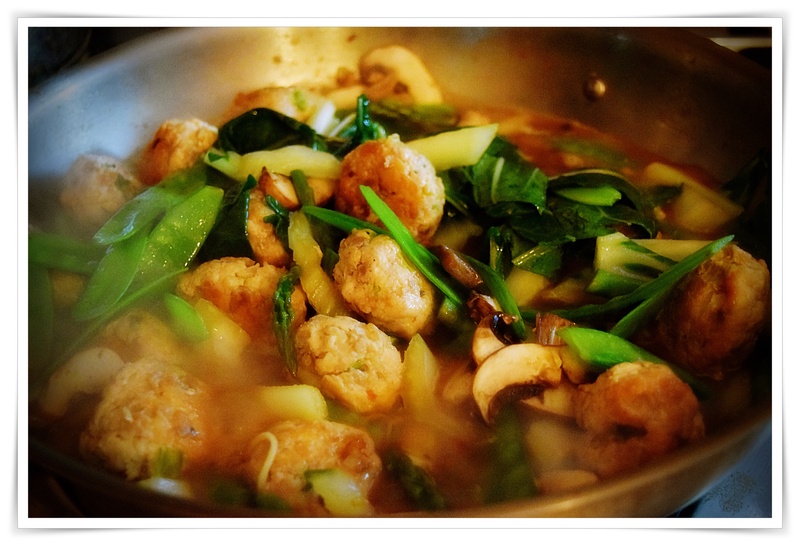 The meatballs should be cooked through and the bok choy tender. Fish out the slices of ginger. Add the lime juice and remaining spring onions, taste for seasoning and serve.